It’s Preakness Week in Maryland. Just Remember: Big Winners Owe Taxes! Baltimore’s Pimlico Race Course hosts the second leg of the Triple Crown this week. If you are lucky at the track, pick the winner, and win big, you must pay taxes. In most cases, the IRS considers money or items you win by gambling to be taxable income. If you win items, you must report the fair market value of the items you win. Federal and local state (Maryland and Virginia) tax regulations require gambling winners to report their winnings on their tax returns. What’s the Tax Rate on Gambling Winnings? The IRS considers gambling winnings taxable. If you win a large sum ($5,000+ or 300 times the amount bet), the gambling establishment will generally deduct 25% from your winnings at the time of payout. When gambling establishments deduct taxes from large winners, they provide the IRS Form W-2G to the winners and to the IRS. This form details the winnings and the deduction. If you win at casino games, Bingo or Keno, your winnings are not typically subject to withholding. However, your winnings could be subject to underpayment penalties if you do not pay estimated taxes on time. If you win a large item (such as a car or a trip), you are responsible for paying the fair market value of the prize. 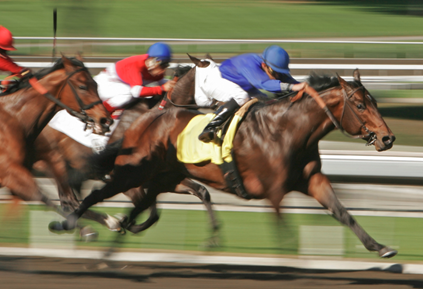 If you win $500+ at the Preakness or at any Maryland-based gambling or gaming establishment, you will owe taxes. Maryland’s gambling taxes apply to residents and non-residents. If you win big ($5,000+), the gambling establishment will automatically withhold the taxes from your payout check. Maryland requires all winners of more than $500 to file Maryland Form 502D within 60 days of the time you receive the prize money. If you live in Virginia, travel to the Preakness, and win big, you will also owe Virginia taxes. Virginia taxes all gambling winnings over $600 at the state’s tax rate. You will owe Virginia taxes on your winnings even if you also paid taxes to Maryland. Yes, that is double taxation. You will not be able to deduct losses directly from the winnings at the time of payout. If you have gambling losses, you can deduct those loses as a miscellaneous deduction on line 28 of Schedule A, Form 1040. You can only deduct gambling losses if you itemize your deductions. You cannot deduct losses greater than your winnings. You should also keep any relevant documents (tickets, payout slips, and relevant forms, such as Form W-2G). You will need to document winnings and losses in order to deduct your losses on your income tax. Professional gamblers have more expenses that are allowable. The IRS defines a professional gambler as someone who gambles on a regular and continuous basis. Professional gamblers report expenses (travel, hotel rooms, etc.) on Schedule C, the IRS Form for income from a trade or business. As with amateur gamblers, the pros cannot deduct expenses greater than their winnings. If you go to the Preakness, have fun and if you win big and need tax help, let us know.